Which Site Works Best, a Blog Website or a Traditional Website? You might think that it is easy to sell on the internet. Just build your website, add some stuff and BAM… now you’re selling stuff online, right? And depending on how you set up your site, you are not only wrong… you are flat broke to boot. Ask anybody who has sold online and they will tell you that they did it on Ebay or that they just setup their website and made sales. But I can tell you now that those are the two most unhelpful answers to selling online you will ever hear. 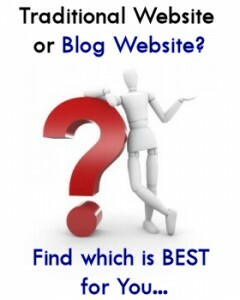 What is the Difference Between a “Traditional Website” and a Blog Website? Anybody now a days can have their own website, from a 5 year old to a 95 year old. And they can all have an equal stake in the new real estate rush that started back in the 90’s. Being on the internet with a website is where you want to be. I have read and heard so many times, having a website for your business is a must. A regular website is better than a blog, isn’t it? Let me tell you something, there is a BIG difference between a “traditional” website with individual pages all hand crafted and made to order. Then there is the Blog website platform that does most of the heavy lifting for you. When it comes to traditional websites they take very long to make, only highly skilled individuals are capable of creating a truly marvelous website just for you. And the price tag? Starting at $500 up to Thousands of dollars just to get your site off the ground. It’s enough to give you sticker shock at shelling that much money for something on a computer screen. Not to mention the “time to build” factor. To create one of these glorious hand made websites takes weeks of effort and creative sweat to concoct a vision of beauty that justifies the time and expense to give birth to such a thing. 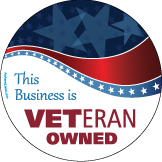 You still don’t know what you can or CAN’T do, add, or modify it without it costing you an arm or a leg. That’s after its paid for in the first place. It all Starts with Your Own Blog. One website option that is easier to use, much more affordable, and ready to go right out of the box. It’s called a Blog Site Setup. With a Blog you have the ability to do things that a regular website struggles with, like adding new copy to your website. Keeping track of changes so you can UNDO what went wrong. And making your website look like a whole new website in under 10 minutes flat! Just by changing the Theme. When have you heard of someone changing their website look and feel, 10 minutes after they decided it needed to change? Hmm… Anybody? Well I can tell you that it IS possible if your website was built on a blog setup. You see the HARD work has already been done. All those dynamic programs, all the features, utilities and other stuff you never want to hear about let alone learn the hard way that your website can’t even change its copy without taking days for your web developer to getting around to it. With a Blog you can Do More in Less Time with Less Cost. A ready to go, SEO and SEM system that makes the Search Engines take notice of your site from Day 1. Multi-media [video, audio, etc.] friendly website, create it yourself or we can show you how. Website Traffic and Analytics installed from the start, so you know who’s looking at your site and where you can optimize for sales or attract even more visitors. 2 Free 60 minute Marketing Coaching Calls [a $300 value], to help you narrow down your target market and give you action steps that give you focus for long term success online. You can read more about our blog site set up services by following the text link for more information.